Since my husband and I are always on the go, I sometimes like to dress Reya up a bit. Nothing is cuter than getting out of the car and everyone commenting about how cute our dog looks in her bandana. More shocking, she is the first dog I have ever owned who seems to love wearing just about anything. She will even wear dog shoes (I should take a picture of it sometime). The only thing she won’t tolerate is anything on her head, which I am willing to accept with how laid back our dog is on a daily basis. With Reya loving to show off, I was pretty excited when we were approached by Spreadshirt, asking if we were willing to review some of their adorable dog clothes. With the site specializing in creating, buying, and selling ideas on things that people love to carry or use, I was pretty certain we would find some cute stuff for our Reya! As someone who loves my iPhone and iPad, I do have a bit of Apple love. That being said, I also love a good spoof. 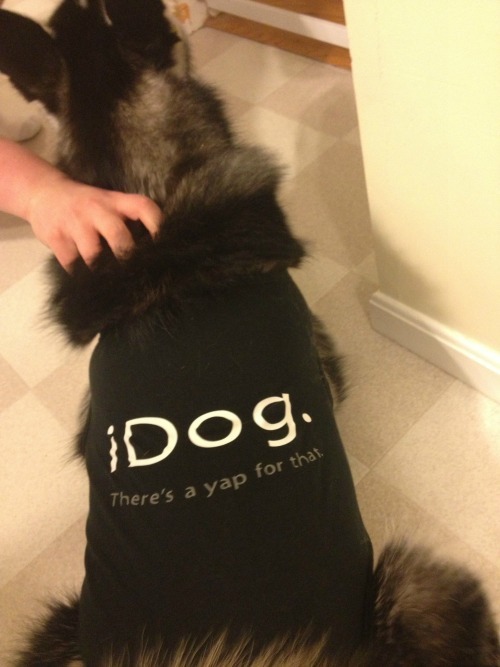 When I first saw the iDog shirt, I immediately fell in love with it. If you can’t tell from the picture below, the shirt says ‘iDog. There’s a yap for that’. Having a very vocal dog who has an opinion on EVERYTHING, this shirt seemed perfect for her. Even more so, it made everyone who saw it on Reya giggle! Best of all, this shirt is meant for only big dogs, coming in both XL and XXL in four colors (white, black, pink, and red). As well, it is 100% cotton, giving me confidence this shirt will last! While I do love Reya’s iDog shirt, I normally don’t dress her up in clothes. That is something reserved for Halloween or when we want to amuse the mothers. I do love putting bandanas on Reya though and she loves to show off when she’s wearing them. Since we didn’t have very many bandanas that weren’t meant for puppies, I was excited to get the I Love My Owner bandana. This cotton bandana is one size fits most and fits Reya fairly well. It is obviously too big for smaller dogs, but I think it is great for any medium to large sized dog. Besides, who doesn’t love to show off the special bond between owner and their canine best friend? Would you like to purchase this awesome bandana or shirt for your favorite pup? 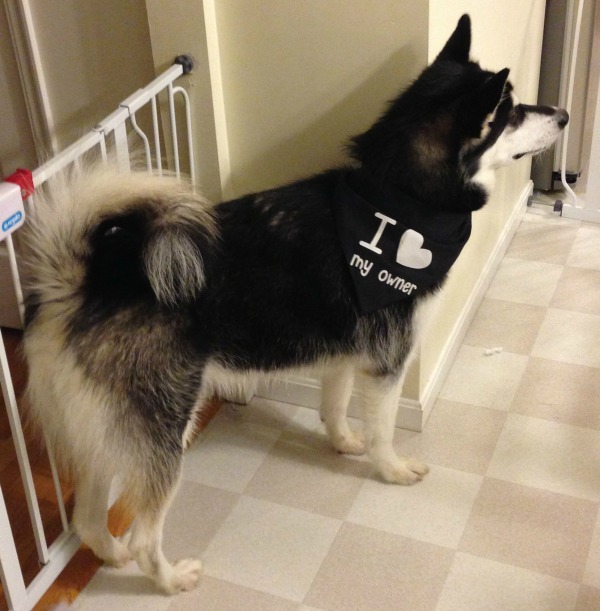 Currently, you can purchase the I Love My Own Bandana for $14.80 or the iDog shirt for $14.99. If you are someone who loves to make your dog look stylish (or geeky), this is a great way to do it without spending a small fortune. As well, don’t forget that Spreadshirt has other adorable pet items, allowing you to buy the perfect pet or human accessory for your own unique style! We have 2 dogs that love wearing doggie attire. They would look adorable in these. I like how therre are things for lager dogs! So much is just for toys. Love your husky! Your dog is beautiful! Anyway, it has been quite cold around here and I am impressed that so many folks do put their pets in coats and boots. These look like cute outfits! Love this post and beautiful doggie by the way! I love huskies! The tshirts are adorable and I will check out their site now! Thanks so much!!! I love the adorable outfits for my yorkies to keep them warm on walks. These are so cute. Thank you for sharing these with us. I love the look of these shirts for dogs I’m pleased to know they are available for larger dogs such as our beagle. I’m thinking a shirt like this would help keep a dog calm as well as warm and dry from cold rain and snow. 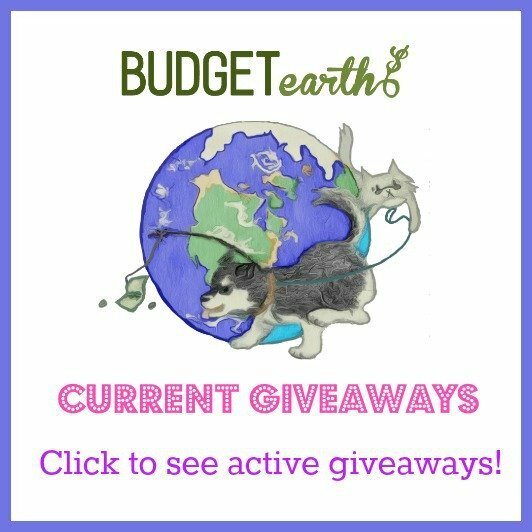 I love these items for your dog! I have a small Chihuahua and she loves to be dressed up! She seems to stay cold if she doesn’t have a shirt on her especially in the winter time or cold weather. I also have a Basset/Beagle mix and he will not wear anything. But there is nothing cuter than a dog dressed up!